Super fast dispatch on these great travel mugs! 400ml plastic thermal mugs with spill resistant lid. Suited for drinking when on the go, or just sat at your desk. Year long gift, keeps cold drinks cold in the summer and hot drinks warm in the winter. 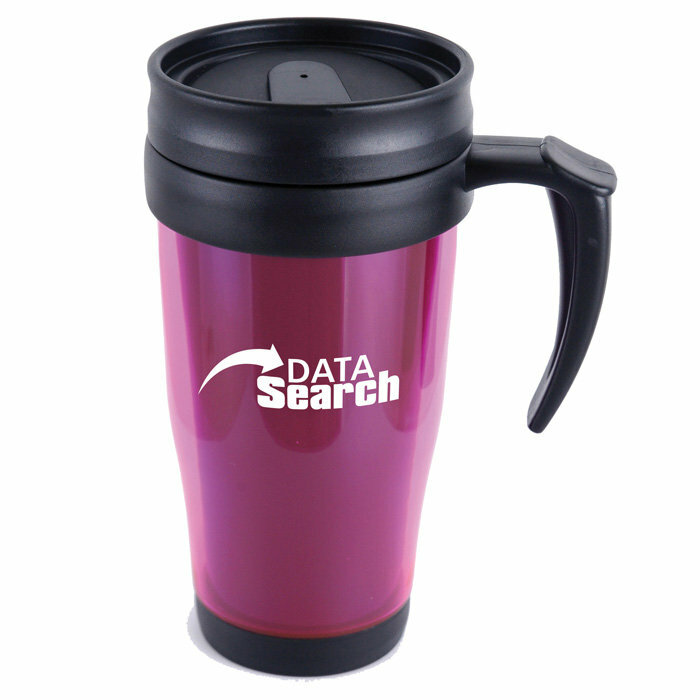 Solid colours Travel Mugs also available. We advise that this mug is printed white, silver or gold for best results. 1 Day service available on orders and artwork received by 11am - subject to sight of your artwork. 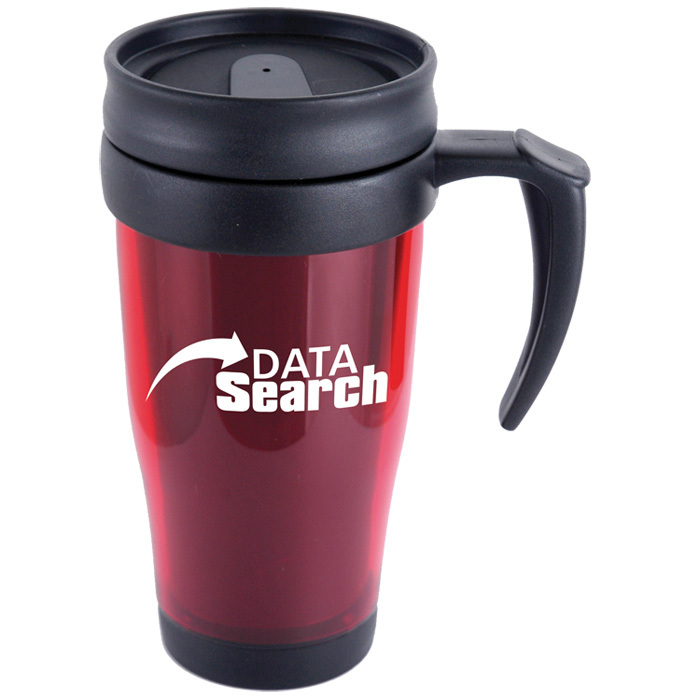 Our express service applies to 1 colour wrap around print (in a standard colour) to the body of the mug up to 250 units; for up to 500 units our 3 Day Service is available, for a higher quantity or for multi-colour designs please see the standard listing for this item. We do not recommend a black print on amber coloured mug - White looks great! Print area: (wrap around) 170 x 45mm.